A start-up music gear company from Missouri says the launch of their first product will begin a transformation for the music industry that is akin to the switch from landlines to smartphones. 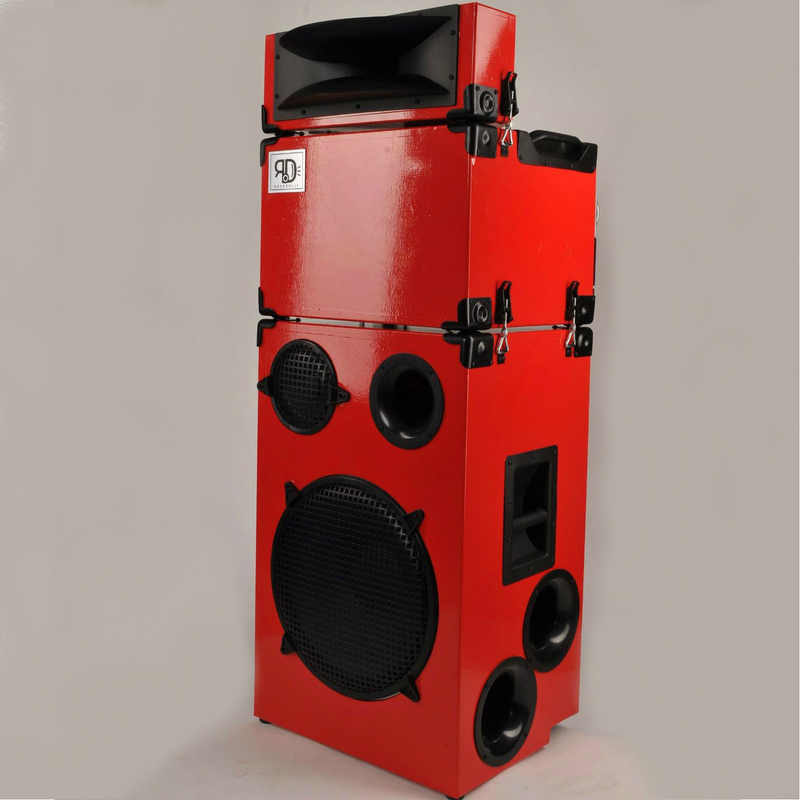 Their big aspirations include manufacturing not just their all-in-one wireless speaker systems for bands and DJs, but also a host of unique instruments that have integrated wireless connectivity. Their all-in-one solution for musicians is the RockDolly. The RockDolly acts as the guitar amplifier, bass amplifier, pa-system, wireless mic and instrument hub, and mixer for live music production. As the name suggests, all of this equipment is arranged neatly in brightly colored boxes and has recessed casters and handles much like a dolly or hand cart. Cameron Eaton, the inventor and designer behind RockDolly Equipment, says he has other inventions in the fields of energy and transportation that can not yet be discussed. Right now he is devoting most of his efforts to launching the RockDolly. He thinks that he can leverage this commercially popular product, and the revenue from it, into a research and development company that can pursue the other projects. Right now, that means all efforts are going towards this musical endeavor. He says that his company isn’t just looking into wireless guitars and basses though. They have plans to build wireless chime drums, theremins, even a never before conceived electric hurdy-gurdy. His vision for the company involves what some consider to be a re-invention of the wheel, drawing criticism from competitors who say that no revolution is necessary. Right now, the company is far from those lofty goals. Their first product launch is expected next month through a Kickstarter campaign where they will unveil their latest design and plan to sell a limited number of units. When asked about the relatively low number of units (200) available for a product launch, Eaton said that his small team of carpenters and circuit-builders can only handle so many orders each month, and will need time to scale up. He wants to manufacture all of the RockDolly units and instruments in the United States, a tricky proposal, even while the climate is starting to lean towards American manufacturing. A watch, particularly watch is a special accessory that can significantly boost your confidence and self-esteem. If you’ve got a desire to own a luxury watch, then MCA.MN is your one-stop shop destination for all your watch and accessory needs. MCA Brands items for men and women Whether you are looking for top Swiss brands such as Omega, Rolex, Breitling, BVLGARI, Cartier, and more or the accessories such as pens, watch boxes, sunglasses, cufflinks, wall clocks, bracelet and straps...,we also stock a massive range of them. SKELL INC. is a start up company founded by the artist Lorenzo Maggiore as a vehicle to bring his creations to commercial life. SKELL INC. is constantly in the process of developing other interesting products in the near future on other planets. The initial product offering of SKELL INC. is the BUG-A-SALT™ insect eradication device, an invention originally proto-typed all the way back in 1994. Through the help of family and friends, Lorenzo finally pulled it off in 2012 when the BUG-A-SALT launched via crowd-funding. After working on the BUG-A-SALT for decades, in 2012, Lorenzo is “officially” granted an “Official Patent of Invention”. In May 2012, Lorenzo created a BUG-A-SALT video telling the story of his journey. In July 2012, the BUG-A-SALT pre-sale launched on Indiegogo.com crowd-funding site. The BUG-A-SALT video posted on YOUTUBE and quickly went viral attracting press, bloggers, and customers worldwide. In October 2012, The Wall Street Journal ran a front page article featuring the BUG-A-SALT and Lorenzo. By the end of 2012, Lorenzo took orders for over 20,000 units and raised over $577,000 via pre-sales. According to Lefigaro magazine, Laurent Baltazar who sells his system for five years now, said that the rainwater’s engine actually brings water in spray form to improve engine efficiency. The combustion process is more efficient because the combustion temperature is reduced. The kit, which costs about 300 EUR, is to install a system for storing water in a tank and frost resistant under the hood and then inject water into the engine. The device allows a motorist to reduce from 20% to 50% fuel consumption. The effectiveness of the system depends on “the legality of the conduct and the load of the vehicle,” the creator of the device said”. Fuel economy will thus be greater on agricultural machinery, trucks or boats because the load is heavy and steady pace. Regarding cars, traffic on highway permit greater efficiency in town for example. The car model can also play. Thus, an owner of 306 indicates that the vehicle autonomy gain is about 300 kilometers on a full, says the motorist to 1200 km with the device where it was 900 km previously. Fill the rainwater tank every 1000 km. Another advantage, carbon emissions are reduced with this system. “On at least 20%,” says the inventor. But again the benefits of the system depends on the vehicle. “On a car, we could measure the CO2 emissions into the atmosphere has been reduced by 70% after installing the kit.” The effectiveness of the device is greater on the most dilapidated vehicles. Only constraint, says Laurent Baltazar, users of this system should fill the tank kit every 1000 km with rain water or demineralized water. Moreover, term users of the system may need to replace parts inside the device, says Baltazar who explained that still the lack of hindsight to know the rate of degradation of the kit. The latter however, that “the life of the system is around 150,000 kilometers, the life of an engine.” He added that his system is legal and does not damage engines. “We have never heard that the fog damages the engines, says Baltazar. The success of its system is growing. If fitted to around 1,000 vehicles in the first year, it aims this year around 10,000 systems sold. And a large group would have passed him a major order for catalysts of series production. Laurent Baltazar, who says to fill orders, indicates rethink its organization to fill satisfy demands. Chip tuning is the easiest way to increase the impact on your car, with money back guarantee. Scandinavian Chiptuning wish you only as a customer if you are very pleased with their services. They therefore will give you 30 days to test both their products and use them as a supplier. You do not need a reason to return the product, unless they provide a quality services through their professional experienced team. According to a press release, the solution for the space debris issue will be a crowdfunded cubesat Mayak equipped with a special aerobraking system. The rocket Soyuz will take the satellite to the orbit in the second half of 2016. Space debris is natural (meteoroid) and artificial (man-made) particles orbiting the Earth. Most decommissioned satellites become space junk for years and decades, preventing usage of orbits for commercial and governmental projects. Spacecrafts on low Earth orbit are affected by low-density atmosphere and slowly are running out of altitude. Typical decay time for a 600 km (373 mi) orbit is years. On-board rocket engines can be used to speed up the process, but it is an unreliable and expensive solution. Mayak will conduct orbital tests of deployable aerobraking device which will allow to significantly rise spacecraft drag and speed up decay. Aerobraking will allow to lower Mayak’s orbital time from year to just one month. As the Mayak project is implemented by enthusiasts via crowdfunding, all project data (3D models, drawings, electrical schemes, source code, test programs and test results) will be published for open access. Mayak has collected approx. $33 000 for testing via two Russian crowdfunding campaigns in 2014 and 2016. Roscosmos has authorized project access to the Soyuz-2 launch vehicle in summer-2016 as a part of the Kanopus-V-IK launch campaign. The Mayak team started a new campaign on Kickstarter to raise money for manufacturing of a production unit. Photos and videos are available here. It’s hard to underestimate how fundamental Wi-Fi is to so many of us these days. Whether we’re watching movies on Netflix, streaming music on Spotify, or downloading every science paper on the web for free, that signal in your home is what keeps us connected to the all-knowing, all-seeing Internet. Yeah, there’s mobile data too, but it can’t compete with home broadband for value when it comes to heavy, ongoing data consumption. Which is why it’s kind of funny that so many of us take for granted where we place our Wi-Fi router in our homes. After all, you’re paying for that fast data connection to travel a pretty significant distance to your house or apartment, so it’s silly to throw the maximal quality and speed of the signal away because you unwittingly chucked your little digibox in an inopportune location after unboxing it. It might be common sense to some, but as April Glaser writes at Wired, it’s helpful to think of your Wi-Fi router’s signal strength in terms of its radius of broadcast. That signal extends out in every direction from the router, meaning you should ideally place the device in a central location in your home. Otherwise, if you store it up one end of your pad, you’re really just handing over your quality coverage area to your neighbour, your garden, or the street out front. As Wired points out, the same principle applies to multiple storeys. If you can place the router as close to the vertical middle of your home, that could improve the signal’s reach overall. Another thing to bear in mind is walls. Any solid structure can impede Wi-Fi signals, and while the technology can impressively permeate things like walls some of the time, they’ll still have an impact on the signal. Because of this, place your router in as open a location as possible, away from brick or concrete walls if you can – and similarly avoid the floor, which will block in part any Wi-Fi waves directed downwards. As we’ve mentioned before, other electronics in your home can interfere with the frequency of your Wi-Fi too, so try to keep your router away from things like TVs, microwaves, cordless phones, and any other kinds of devices that broadcast wireless signals as part of their regular operation. Don’t forget about your router’s antenna either. 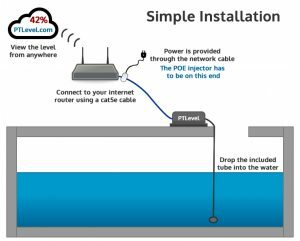 Not all router models include an external antenna you can manipulate, but if yours does have one – by all means, manipulate it! Seriously, the angle and direction of your router’s antenna will have an impact on the way it broadcasts radio waves, and it could make a noticeable difference in your home. Which brings us to our last point. When you’re playing around with Wi-Fi, it’s a good idea to bring a little scientific measurement into the equation. There are plenty of apps and websites that help you measure the download and upload speed of the device you’re currently using, so when you’re trying a new router placement or configuration, take the time to prove to yourself that your new setup is better than your old one – for at least the locations in your house where you’ll most often be needing good data speeds. Good luck! Here you can get a better Wifi router if you need one. Imagine a technology, which could connect you to the Internet at speeds of 1Gbps, by simply using LED bulbs, free from any waves with potentially harmful effects on the body. That is precisely what Li-Fi offers. It is a technology in the development phase and is planned to be used first in businesses and then in homes. Li-Fi, which stands for Light Fidelity, is a wireless communication technology based on the use of the light spectrum. It sends data by switching the current to LEDs off and on at a very high rate, and is invisible to the human eye. Li-Fi has many advantages, starting with the absence of radio waves, which could be harmful to health in the long term, and electromagnetic interference. Also, the Li-Fi spectrum is around 10,000 larger than Wi-Fi’s, making it possible to connect more users together at the same time. Furthermore, as light cannot pass through walls, there can be no automatic connection from one room to another. But it also means that piracy from outside sources becomes impossible. In terms of speed, Li-Fi looks highly promising. It could theoretically achieve speeds of 1Gbps, which is faster than the most recent Wi-Fi standard (802.11ac). Researchers at Oxford University in the UK have achieved speeds of 224Gbps in the lab, which is a record, but it is not likely to become the norm in homes. In France, several Li-Fi connection experiments are currently underway, mainly in business settings led by specialist companies such as Oledcomm and Lucibel. Velmenni, an Estonian start-up, has already carried out tests in homes. One of the preconditions for Li-Fi to become commonplace is for the whole environment (companies, public places, housing, etc.) to be equipped with LEDs and for mobile phones to have light sensors compatible with this new technology. No more running out of water and definitely no more checking water levels in minus 40 degree weather! An electronics team in Wainfleet, ON from ParemTech have developed a cloud-based water level monitor, the ptlevel, allowing rural water users with a cistern or well to remotely monitor their water levels. And more, the device has built in low-level alert features by text and email so you’ll never run dry again. What really brings this device to life is it’s high-tech, yet user-friendly, interface and platform. First of all it is the easiest way around to view your water level. And second, the technology and programming of the ptlevel displays surrounding water delivery companies. This enables super easy water ordering and allows water delivery companies the ability to advertise to their local customers. Another unique feature of this interface that is not available anywhere else is “water level history”. And more than just past level history, soon it can even predict when you will run out of water! Installation of the ptlevel can be completed by a certified installer (by a certified ptlevel installer), or can be installed by the purchaser by following simple instructions (drop a line, plug it in, set-up an account!). The product has only been widely available for 4 weeks but the initial response has been huge. “We’ve already shipped our first wholesale order more than half-way across the country and we’ve sent out another local wholesale order just today” says Mike VandeBeld, Chief Developer at ParemTech. During initial test stages and needs analyses the team found there were many people who had developed their own monitoring systems whether it be a long stick or pole, “eye-balling it”, or even low-technology float switches. The problem is, there is still no way to be directly alerted when the level is low and there is a risk of running out of water. With the new ptlevel users can check the level from anywhere, anytime and are alerted to their phone or email; ordering water can even be automatic if they’ve shared their level with their local supplier. The ptlevel has been long awaited for many rural water users. ParemTech is also working on a top-secret product right now to be ready for 2016. The product launch will shape the landscape of the way many country-living residents do life. The technology is still hush-hush though since they are in the midst of patents and research; you’ll just have to stay tuned to see what they have up their sleeves! Follow them on facebook at https://www.facebook.com/Paremtech or visit their website for more details at www.ptlevel.com! The findings reveal that canines have the capacity to co-operate socially—a characteristic found in a relatively small number of species, including humans and some other primates. 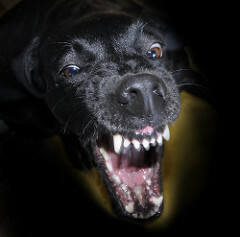 Neither person interacted with the dog’s owner in the control—third—group. Dogs that saw their owner being rebuffed were far more likely to choose food from the neutral observer, and to ignore the offer from the person who had refused to help, Fujita said. “This ability is one of key factors in building a highly collaborative society, and this study shows that dogs share that ability with humans,” he said. “There is a similar study that showed tufted capuchins (a monkey native to South America) have this ability, but there is no evidence that chimpanzees demonstrate a preference unless there is a direct benefit to them,” he told AFP. The study will appear in the science journal Animal Behaviour to be published later this month by Elsevier, he said. Researchers in the US have tweaked a regular Wi-Fi router and made it capable of continuously powering a battery-free surveillance camera. Even better, their work didn’t interfere with the router’s data transfer speeds. The breakthrough could help researchers overcome one of the main challenges when it comes to the development of new technology – including the Internet of Things, which aims to put a chip inside all our household appliances and bring them online: how do we keep everything powered up without lots of cords? Researchers have long known that the electromagnetic waves broadcast by Wi-Fi routers could be harnessed for energy as well as sending information, but the challenge was finding a way to do this reliably and continuously. A team from the University of Washington in the US has now accomplished this by simply changing the way a router broadcasts. They’re calling their new approach ‘power over Wi-Fi’ or PoWi-Fi. In the past, scientists have never been able to harness enough Wi-Fi signals to power anything of much use. 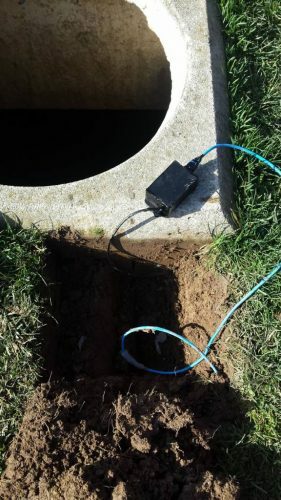 But the team’s big break came when they attached a simple antenna to a temperature sensor in order to see how much power they could get from a nearby router. They found that the resulting voltages produced by the Wi-Fi signals were never high enough to cross the operating threshold of around 300 millivolts. But they often came close. The problem, they realised, was that Wi-Fi routers don’t continuously blast out electromagnetic waves, they send them out on a single channel in bursts. But by programming a router to broadcast noise across a range of Wi-Fi channels even when it wasn’t transmitting information, they were able to pump out enough signals that their antenna could then use to provide continuous power to electronic devices. Using their prototype, the team managed to show for the first time that they could not only run battery-free temperature and camera sensors using Wi-Fi signals from a distance of six and five metres respectively, they also proved that they could charge a range of coin-cell batteries at distances of up to nine metres. They then took their system into six metropolitan homes to show that the set-up worked in real life, and didn’t interfere with data transfer speeds. The results are published over at arXiv.org. The next step is further testing on these routers under a range of different conditions to make sure they really can help to provide us with regular power for our devices while we browse the Internet. And if that’s the case, then it could seriously change the way we power up our homes. We can’t wait. A new study published in IOP Publishing’s journal 2D Materials has proposed using graphene as an alternative coating for catheters to improve the delivery of chemotherapy drugs. This shows that existing materials is being used in new ways all the time, and that is what true innovation is all about. Finding new uses lot already existing technology is a whole lot easier than coming up with new materials. 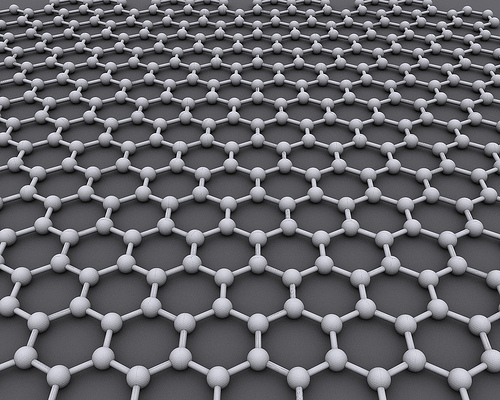 Use the comment form below to comment on this new use of graphene. Who Invented The Artificial Pacemaker? Who Invented The Passenger Lift?